Whether you are looking for a quick bite or a long lunch, Belly Deli is the place to stop. Famous for its home made pies, woodfired pizza and delicatessen this is the perfect stop after a long drive. From Aberdeen side turn left of the N9 into Willowmore. Follow the Main Road (Knysna Road) untill you see Engen Garage. 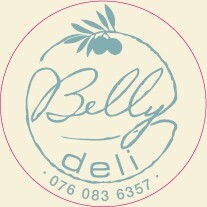 Belly Deli is on the left hand side 60 m before Engen Garage, right next to Sophies Choice. From George side turn right of the N9 into Willowmore. Follow the main Road (Knysna Road) untill you see Engen Garange on your right. Belly Deli is 60m on on the right hand side, next to Sophies Choice.